Steve Gill has been a developer on the PhoneGap team for over 5 years. He is a avid beer connoisseur and enjoys biking around SF. R on Evans is a software developer, contributor to open source projects, author and speaker, iconoclast. Ringleader at The Hybrid Group. Alice Pang Alice received her BS in Electrical Engineering/Software at Stanford and her MS in Industrial Engineering/Management of Technology at UC Berkeley. After 3.5 years of getting developers excited about building apps as a Developer Evangelist at Microsoft, she’s now getting developers excited about monetizing their apps with MoPub as a Developer Advocate at Twitter. When she’s not speaking or building resources to ensure a great developer experience, you can find her training in circus arts. William Hoang is a Developer Advocate on the Mobile Engineering/Developer Experience team at Couchbase. His love for coffee and code has transcended him into the world of mobile while appreciating the offline in-person experiences. Prior, William worked on the Developer Relations team over at Twitter, BlackBerry, and Microsoft while also having been a Software Embedded GPS engineer at Research In Motion. William graduated from McGill University in Electrical Software Engineering. Some previously tech conferences that I spoke at were: GDC, Droidcon, Mobileweek NYC, Ultimate Developer Event, along with tech meetups. Justin Woo is a Developer Evangelist at PayPal in Seattle, WA. Previously, he worked at Microsoft as a Software Developer Engineer and Program Manager. He received awards for his work and can always be caught smiling. Chris Beauchamp is currently a developer evangelist at Crittercism, a service that provides mobile app performance insights to help developers improve their app. He is a developer himself and has been building apps since the first iPhone SDK was released. He’s published a handful of apps to both iTunes and Google Play that have gathered over 30M downloads. Michael Ludden, recently Developer Marketing Manager Lead at Google, Head of Developer Marketing at Samsung and Developer Evangelist at HTC, has finally taken the leap to the world of entrepreneurship and is currently running a mobile freemium game startup which has just released it’s first title for iOS and Android, Fantasy Bubble Quest. 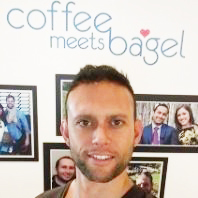 Karim Varela is currently involved in three mobile startups, Coffee Meets Bagel, Fabric, and SocialTagg. At Coffee Meets Bagel, he leads the Android team and spearheads mobile development initiatives. He advises Fabric on mobile strategy, product, and technology. And finally, he’s the founder of SocialTagg. Previously Karim worked for AT&T, Fandango, Tinder, Muve Music and several other companies. Max Katz is head of Developer Relations for Appery.ioa cloud-based mobile app platform. Max is the author of two books “Practical RichFaces” (Apress 2008, 2011), and is a frequent speaker at developer conferences. You can find out what Max is up to on his blog: http://maxkatz.org and Twitter: @maxkatz. Josie Roman is a n Engineer, International Business & Marketing Strategist, Investor, and Founder of SeaLight Enterprises, with a career expanding over 20 years across Entertainment, Technology, and Finance, including operational and business advisor for numerous technology companies. She brings extensive knowledge in project management, business mapping process, marketing strategies, customer service, and new product development. Ms Roman provides tactical and strategic knowledge in how organizations can leverage technology and marketing to deliver an enhanced customer experience, building engagement while achieving business goals and fast scalability. Penelope and America Lopez are students and twin sisters who recently won an AT&T Hackathon prize for their hardware and software prize Body Cam Hack built using open source tools such as Arduino and AT&T’s network APIs. Veronica Flint is a 3D artist and winner of hackathon prizes for her talents with Leap Motion and Oculus Rift technologies. She is expert with Maya 3D software. Justin Zemlyansky has received prizes at several hackathon. He is a young, aspiring developer and college student with a background in tinkering with electronics.